Solar Light’s Model PMA2100 Dual-Input Data Logging Radiometer is a research grade instrument that can be used with over 85 different PMA-Series Digital Sensors. It functions as a light meter, photometer, and UV meter measuring UVA, UVB, UVC, Visible, and IR light. 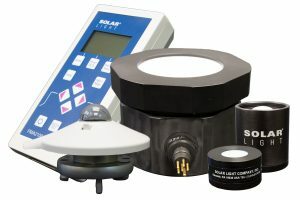 Solar Light’s Model PMA2100 Dual-Input Data Logging Radiometer is a research grade instrument that can be used with over 85 different PMA-Series Digital Sensors. 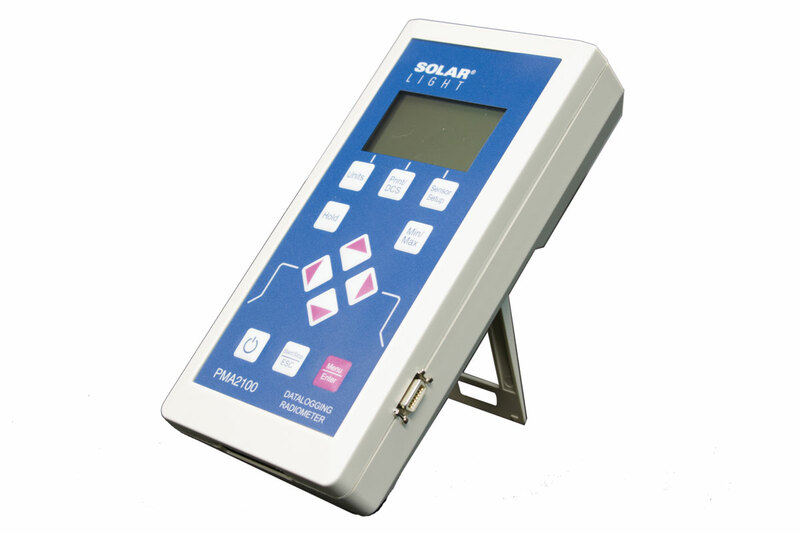 It functions as a light meter, photometer, and UV meter measuring UVA, UVB, UVC, Visible, and IR light. 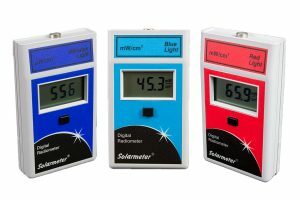 These intelligent meters use advanced sensor detection and data processing, allowing the user to add new sensors quickly and easily to measure different kinds of light without having to use a different meter. 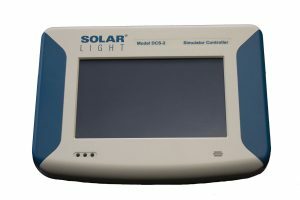 They feature graphic display, data logging, complex processing algorithms, selectable units of measure, averaging, tracking minima and maxima, dose integration and programmable alarm thresholds – all in a portable, light weight device. 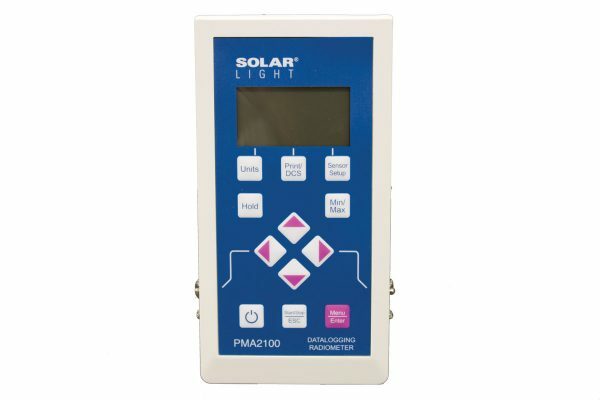 PMA2100 product bundle features the PMA Data Logging Organizer software (sample rate in minutes,) a battery charger, a USB cable, and a hard cover carrying case. 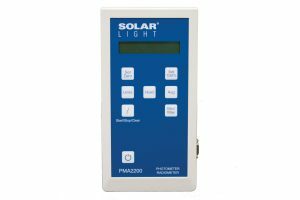 PMA2100B basic model with no data logging, case, or accessories. 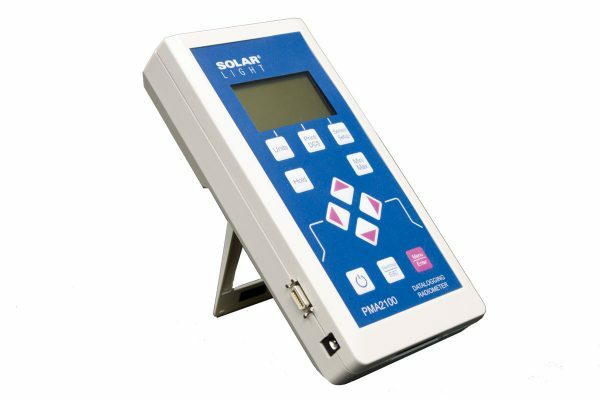 PMA2100C product bundle features the PMA Datalogging Organizer software (sample rate in seconds,) a battery charger, a USB cable, and a hard cover carrying case. Analog Output is 0-4.5VDC and is standard on all models. Regulations and inspections; Nilsen LTN et al, StrålevernRapport 2008:9. Østerås: Norwegian Radiation Protection Authority, 2008.